This green Irish apron features an embroidered design and pockets. 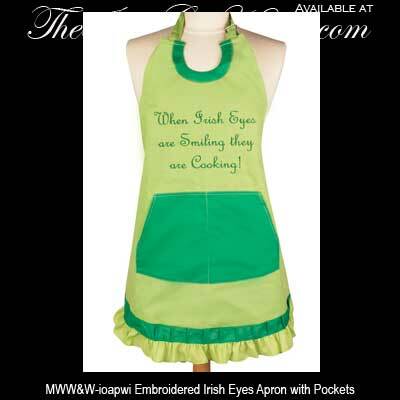 The embroidered design on this apron says, When Irish Eyes are Smiling they are Cooking. The lightweight Irish apron is 100% cotton that is enhanced with a green on green design. The feminine apron is a one size fits most design.